Cecil Scott “C. 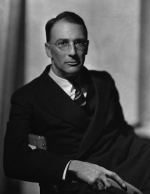 S.” Forester was the pen name of Cecil Louis Troughton Smith. He was an English novelist who rose to fame with tales of naval warfare. His most notable works were the 12-book Horatio Hornblower series, depicting a Royal Navy officer during the Napoleonic era, and The African Queen (1935; filmed in 1951 by John Huston). His novels A Ship of the Line and Flying Colours were jointly awarded the 1938 James Tait Black Memorial Prize for fiction. Omnibus edition of Flying Colours, The Commodore, Lord Hornblower and Hornblower in the West Indies. Hornblower in the West Indies, or alternately Admiral Hornblower in the West Indies is one of the novels in the series C. S. Forester wrote about fictional Royal Navy officer Horatio Hornblower. All the other novels in the series take place during the wars with revolutionary and Napoleonic France. This one takes place when Britain is was at peace, May 1821 - October 1823. Hornblower has been promoted to Rear Admiral and has been named in command of the West Indies station, i.e. the Caribbean, with a squadron consisting of three frigates and fourteen brigs and schooners. While it is the last Hornblower novel chronologically, at least one short story (The Last Encounter) is set after the events in this novel. In the Royal Navy of the early nineteenth century, promotion from captain to admiral was based solely on seniority. Hornblower was made a captain in 1805. The distinguished officer Edward Berry was promoted to captain in 1797, and did not become a rear-admiral until 1821. Thus, seniority should not have brought promotion to rear-admiral to Hornblower until the mid-1830s or later. Extracts from an English seaman who was pressed into the British Navy during the Napoleonic wars. In Central Africa of 1914, Rose Sayer buries her brother then sets out on a boat called the African Queen for the adventure of a lifetime. This edition restores the author’s original ending. The fledgling United States Navy with its super frigates take on the best navy in the world. The fledgling United States Navy takes on the lawless raiders of the Mediterranean. On the desolate Galapagos island of Resolution, Leading Seaman Albert Brown ties down a German cruiser. Captain Josiah Peabody takes his frigate, Delaware, to sea in the teeth of a British blockade during the War of 1812 and proceeds to devastate British shipping in the Caribbean. This uniform three volume set includes Beat to Quarters, Ship of the Line and Flying Colours. This omnibus volume contains the first three adventures of Horatio Hornblower, R.N. Beat to Quarters, Ship of the Line and Flying Colors. This condensed version of Beat to Quarters is illustrated. The other contents of the volume include My Friend Flicka, Jane Eyre, and Alone. This omnibus includes the first three Hornblower adventures: Beat to Quarters (The Happy Return), Ship of the Line, and Flying Colours. Later editions variously included Hornblower and the Hotspur or Hornblower and the Atropos, in place of Flying Colours. Captain Sir Horatio Hornblower, R.N. leads a squadron of British naval vessels on a military and diplomatic mission in the Baltic Sea.